The jury list is expanding. 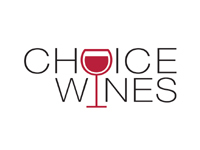 Keep an eye on this page for all updates on the judging panel. 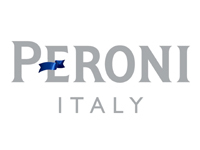 Amit began his marketing career in India working on brands like Pepsi Cola, Nokia and Motorola. In 1996 he then moved into the world of advertising working in both Ogilvy & Mather and BBDO across brands like Pepsi flavours (Mirinda and 7UP) as well as Cosmopolitan, Gilette and adidas. 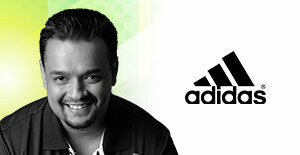 Amit then moved over to the client side in 1999, joining adidas India where he handled the brand and the product functions until the end of 2002. This was followed by a move across to adidas Indonesia in December 2002 where he worked in a series of roles including marketing manager, head of sales and marketing and finally managing director for the operation. Following a restructure in South East Asia, Amit then moved to Singapore to take over the Sport Performance portfolio for the adidas brand covering all 6 markets (Indonesia, Singapore, Thailand, Malaysia, Vietnam and the Philippines). 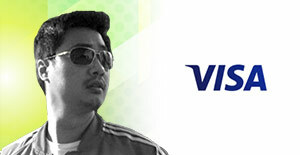 In the beginning of 2012 following a new internal alignment he was given responsibility for the brand (both performance and style divisions) for the South East Asia market. In 2014 Amit took on further responsibility for brand adidas marketing for the Pacific Market and is currently the vice president, brand adidas for SEA&Pacific. Frederic Moraillon, Vice President of Marketing for Asia Pacific & Japan at Akamai, is responsible for increasing demand generation and brand awareness in the region. Frederic is a passionate business-to-business marketer experienced in driving market acceleration through developing market centric revenue generation strategies. He has held senior leadership roles with Business Objects, SAS Institute, PeopleSoft Inc., and Silicon Graphics. He has also led, coached and been part of numerous start-ups including a number of successful specialist software vendors. 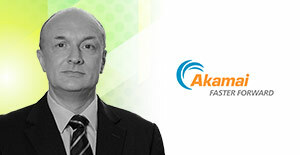 Prior to joining Akamai, Frederic was running a boutique public relations firm and software sales business. Frederic holds an Honours Degree in Business and a Master Degree in International Marketing. He is involved with the United Nations Association of Singapore, the CMO Council and has held positions with the Marketing Institute of Singapore, The Conference Board APAC Strategic Marketing Council, and the Junior Chamber of Commerce in Singapore. Anne has over 20 years’ marketing experience in the financial services sector. Her experience spans all marketing disciplines from brand development and management; internal, external and client communications; campaign management; industry and media relations/PR; events and sponsorships; advertising to client research. Her skills across, product, relationship management, sales and people management is a powerful mix that is results driven. Anne started her career with Lloyds Banking Group in the UK, and moved to Hong Kong for an APAC product marketing role with Dow Jones Telerate. This experience has been consolidated over the years with senior global and regional responsibilities based in Asia working for organisations that include Standard Chartered, Bank of America Merrill Lynch and ANZ Banking Group. Wendy is currently the head of brand and advertising for Asia Pacific and head of marketing for Southeast Asia at BlackRock Singapore. She is responsible for a wide range of initiatives across her Marketing and Communications portfolio including advertising, media planning, creative services, building the BlackRock and iShares brands and leading the marketing teams in Southeast Asia for all marketing activities. 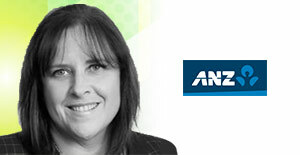 Wendy has over a dozen years of experience with various other multi-national organisations like ANZ, Citibank and 3M. At ANZ, she held the position of director, marketing for affluent, wealth products & transactional banking Asia Pacific. 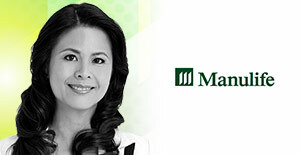 She led and developed the integration of transactional banking products after ANZ acquired the RBS businesses in Asia. 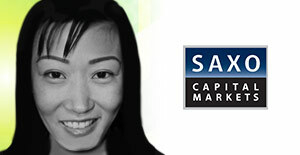 At Citibank, she was the head of product marketing for wealth management products, international personal bank. 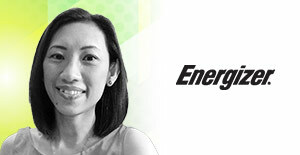 Prior to joining the finance industry, Wendy was with 3M Singapore, responsible for product marketing for PowerBrands such as Scotch® and 3M Ergonomic Products. Over two decades, Joleena Seah enjoyed the challenges of marketing for iconic hotels and resorts in Asia. 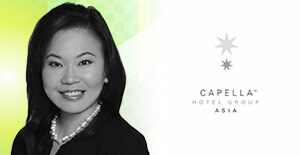 Prior to her recent appointment at Capella Hotel Group Asia, she was the director of communications at Shangri-La Hotel, Singapore, for the past ten years since 2005. 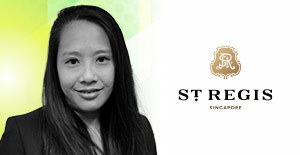 Being a veteran Marcoms director, Joleena is responsible for some of Singapore’s hospitality milestones such as the re-branding of Westin Stamford & Westin Plaza to the current Swissotel The Stamford & Fairmont Singapore (formerly Raffles The Plaza), launch of Equinox Complex and the opening of Grand Copthorne Waterfront. On a regional level, Joleena served on task forces of pre-opening and rebranded hotels in China, Myanmar and Malaysia. At Capella Hotel Group Asia, she is responsible for building brand equity and developing marketing strategies for the ultra-luxury Capella Hotels and Resorts, Solís Hotels and Resorts, Auriga Spa as well as the collection of Independent Hotels managed by the group. 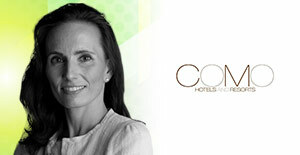 Gabriela Henrichwark is the Group Marketing Director of COMO Hotels and Resorts, a global luxury hotel group headquartered in Singapore, with over 18 years of experience in marketing and brand strategy in Wines & Spirits, Fashion and Accessories, Perfumes and Cosmetics, and Hospitality industries. She has worked with some of the world’s most prestigious brands, including Moet Hennessy, Givenchy and Burberry, and has led their global brand and product development, marketing and digital strategies, as well as operational execution and launch of award winning luxury products and services. She has executive management experience at global headquarters and regional levels, as brand-owner as well as license partner. Mrs Henrichwark was educated in the US and Germany, and holds a MBA with honours from Cologne University in Germany. She has lived in a variety of countries including the USA, Europe and Asia, and currently resides in Singapore. 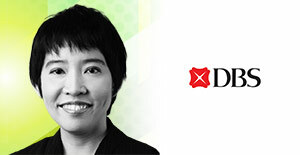 Edna Koh joined DBS Bank in November 2004 and is senior vice-president of group strategic marketing and communications. She is responsible for media communications across DBS, a leading bank in Asia with over 280 branches in 18 markets. In 2013, the DBS communications team was conferred the “Gold Standard Award for In-House Team of the Year” by PublicAffairs Asia. Prior to this role, Edna was a member of DBS’ Corporate Office Support team, supporting the CEO on special projects including M&As, business ventures and other strategic initiatives. Before that, she was Finance Correspondent at The Straits Times. 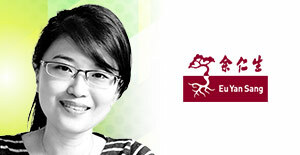 Edna holds a Master of Arts degree in Economics from the University of Cambridge. 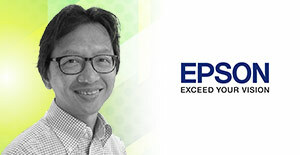 Alvin Tan is the General Manager, Business & Marketing Support, at Epson Singapore SEA regional office, a wholly owned subsidiary of the Seiko Epson Corporation, Japan. He has been in the print industry for more than 25 years, in areas of business and marketing planning in driving revenue stream/cost rationalisation, as well as formulating strategic management vision & goals across the region. He also oversees the conceptualisation, establishment and implementation of marketing communication strategy to stakeholders, ensuring a harmonised approach for better consistency and efficiency across the region. In recent years, he has been leading in corporate social responsibility, sponsorships & PR management in promoting the Epson brand across the region, through synergies with soccer and motor sports tie up. 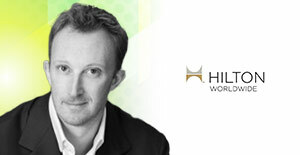 Mark Liversidge joined Hilton Worldwide in September 2013 in a new position designed to meet the demands of the company’s rapid growth across the region. In this role, Mark has worked to bring the marketing and commercial functions across Asia Pacific together into one integrated team, in order to drive commercial performance across the 12 iconic hotel brands in luxury, full-service and focussed-service markets and hundreds of restaurants located in five operational regions: Greater China, Japan/Korea/Micronesia, Asia & Indian Ocean, India and Australasia & South Pacific. Mark leads multiple functions across Asia Pacific, including Brands, Marketing Program & Communications, Regional Marketing, Luxury Marketing, Customer Loyalty, Partnerships, and Operations. 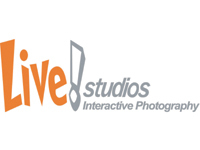 He is accountable for setting the marketing strategy and operating plan at the area, regional and property level, with additional full budget and P&L accountability for the leisure segments, loyalty program, and partnership programs. Furthermore, as a member of the APAC Executive Committee Mark oversees business operations in 19 countries and as a member of the Global Marketing Leadership team, defines global marketing strategy and activity. 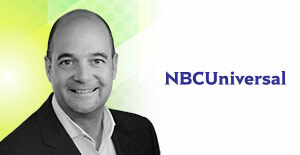 Mark joined Hilton Worldwide from the telecommunications firm, CSL, where operating across Asia he served as Chief Marketing Officer and was responsible for a number of world first launches, orchestrating a rebranding of the company’s multi-brand portfolio, and successfully leveraging digital, social media, and partnerships to drive category-leading customer engagement & commercial performance. Prior to this, Mark’s rich experience in Asia Pacific saw him serve as General Manager of Marketing and Customer Management at Macquarie Telecom, having previously spent a number of years operating in EMEA with companies such as Orange, O2 and BT. Cindy Cheng is the vice president, head of marketing & customer centricity, Manulife (Singapore) Pte Ltd. She is responsible for the overall marketing and customer relationship management including corporate communications, branding, social media, product marketing, campaign development, and voice of customers. Cindy has been instrumental in building the Manulife brand from about 25 percent awareness in 2010 to over 60 percent with a significant increase in brand consideration in 2014. She has been driving the brand in retirement thought leadership through content marketing, public relations, events, and Manulife website and retirement microsite. Cindy is a passionate marketer with over 20 years’ experience in marketing across various industries from advertising, event/exhibition management to fast moving consumer goods and financial services. Cindy holds a Bachelor of Science from Oklahoma State University with majors in Marketing and Management. She has professional qualifications – Associate Financial Planner and Fellow, Chartered Financial Practitioner. Born in Singapore, Jules Ng is a seasoned business and marketing executive with agency, financial services and technology experience. In the span of her 15 year career, Jules has been called to serve as a judge for local marketing awards and actively collaborates on various industry research. Jules rejoined Saxo Bank Group in 2011 and now leads the Marketing charge across Asia Pacific and Japan, as Saxo grows to shape the Fintech trading landscape, client experience and engagement in the digital space. Her prior experience as an in-house marketer includes stints at Microsoft and DBS and in advertising, direct, digital and data agencies at Profero, Euro RSCG and Carlson Marketing. 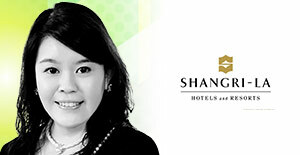 As Shangri-La International Hotel Management’s Director of Digital Marketing, Cherry leads the Southeast Asia hub digital marketing strategy with over 10 years experience of regional marketing and commercial exposure spanning across the Telco, IT, e-Commerce, Airlines and financial services industries. With broad international experience across all marketing disciplines ranging from brand management, digital marketing including platform development and social media as well as partner and content marketing strategy, loyalty program leadership and customer relationship management, Cherry currently looks after the Shangri-La Southeast Asia properties by leading the market driving digital strategies with specific focus on commercial, content led brand marketing, customer engagement, marketing automation and digital innovation. 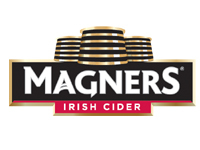 In March 2015, Cherry received the Golden Globe Tigers Leadership Award for Excellence in Marketing & Brand Leadership endorsed by CMO Asia and was also the youngest award recipient in record. 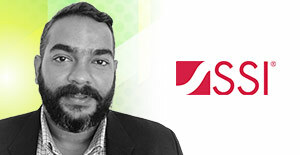 Mani commands a wealth of experience in research, media and strategy planning across multiple Asian markets. He’s worked at The Nielsen Company as part of the Asia Pacific regional client consulting team servicing premier FMCG client such as J&J, Reckitt Benckiser, Cadbury, Coca-Cola, Danone & Nestle covering an array of research areas ranging from syndicated retail tracking to econometrics based analytic consulting. Most recently he was with IPG Mediabrands (Universal McCann) looking after the insights and research operations for the Singapore office. 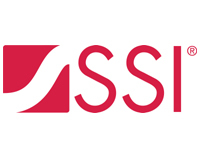 Since joining SSI in July 2013 as a Country Manager, his role is to manage the South-East Asia and India territory clients and the overall performance for SSI in this region. The journey of Jesmine Hall into the dynamic world of Marketing and Communications began more than 15 years ago. With marketing experience that spans across Asia Pacific, Jesmine has been involved both as a team player and a leader in projects and campaigns that encompass a wide spectrum of industries, ranging from fashion and beauty to luxury timepieces, food and beverage sectors to retail outlets and technology for luxury, mass consumer as well as B2B market segments. 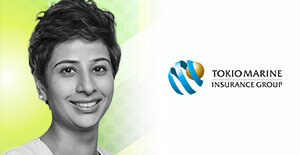 Manisha Seewal is the head of marketing for Tokio Marine Life Insurance Singapore. She is responsible for building the brand identity and all marketing initiatives including advertising, communications, media relations and external affairs PR, strategy, and multimedia content production. She started her career in Singapore in 2003 at ZenithOptimedia as a research analyst for Nokia (regional) and Asia Pacific Breweries (Singapore), resulting in a special appreciation of using market research to derive customer insights and trends. After moving to the client side in 2005, she joined the marketing teams of leading insurers such as Great Eastern, HSBC Insurance and Aviva. There she widened her experience across marketing disciplines like regression analysis to conduct direct marketing, insights-driven segment marketing and many 360 degree campaigns. Manisha completed her Bachelor of Arts (History Honors) from St Stephens’s College Delhi, and holds an MBA from the Indian Institute of Management Bangalore (IIM-B), India. An online veteran with 14 years experience, Joachim’s working history has not yet involved a company without a ‘.com’ suffix. Ecommerce in all its forms were a focus most recently as executive general manager for AU/NZ with the Wotif Group in Brisbane, Australia, where he managed the product, marketing and online strategy for the largest OTA in Australia. Prior to Wotif, Joachim spent two years as a member of the dynamic launch team at retail start-up buyster.com (now Wayfair) in Sydney, covering brand and market entry strategies as well as content, pricing and product strategy. He also led the online marketing team for Yahoo!7/Yahoo! Australia and New Zealand and held other start-up roles previously. 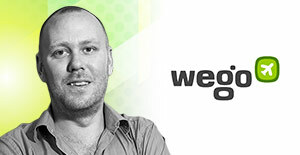 Joachim now leads Wego’s marketing juggernaut as chief marketing officer, has a BA (Hons) Philosophy from Warwick in Australia, enjoys playing the guitar and skiing (not at the same time). He originally hails from Norway. Join us for a night of celebration with Singapore's top marketers!